The exclusive Assassin’s Creed® Origins Steelbook™ only available in the Dawn of the Creed & Dawn of the Creed Legendary Collector’s Editions. Two original art cards representing the Assassin’s tenets in hieroglyphs. Please note: This product is currently a limited edition product. Currently, there is a purchase limit of one (1) unit of this product per customer on our store. This purchase limit policy is in effect to discourage unfair limited edition product buying practices. To that end, we reserve the right to cancel any or all orders (with or without notice to impacted customer(s)) if we determine that a customer has exceeded the posted limit. This includes orders associated with the same name, e-mail address, billing address, credit card number or other similar information. VOID WHERE PROHIBITED BY LAW OR REGULATION. PARTICIPANTS MUST BE 18 OR OLDER AT THE TIME OF ENTRY. ELIGIBILITY: “Win an Assassin’s Creed Origins ‘Dawn of the Creed Legendary Edition’” (the “Promotion”) is open only to legal residents of United Kingdom & Ireland (the “Territory”) who are at least eighteen (18) years old at the time of entry. Employees, officers, and directors of Sponsor and of its mother company and its affiliated companies, subsidiaries, licensees, franchisees, distributors, dealers, sales representatives, advertising and promotion agencies, and any and all other companies associated with the Promotion (collectively, the “Promotion Entities”), and each of their immediate families (i.e., parents, spouse, siblings, children, grandparents, step parents, stepchildren and step siblings, and their respective spouses, and those living in the same household, whether or not related) are not eligible to participate. Subject to all applicable federal, state, provincial, municipal, territorial and local laws, directives and regulations. Void outside of the Territory and where prohibited. PROMOTION PERIOD: The Promotion begins at 9pm Greenwich Mean Time (“GMT”) on September 1st, 2017 and will end at 5pm GMT on October 25th, 2017. To be automatically considered as a Participant to the Promotion, pre-order the standard ‘Dawn of the Creed Collector’s Edition version of “Assassin’s Creed Origins” (the “Game”), on any platform (PlayStation 4, Xbox One, PC, PC Download) on http://store.ubi.com/uk/assassin-s-creed--origins---dawn-of-the-creed-collector-s-case/59247e5fadc724363e8b4568.html. For the avoidance of doubt, in the event your pre-order is cancelled for any reason, you will not be considered as an Entrant to this Promotion. LIMIT: No other methods of entry will be accepted. Only one entry per person will be accepted. Entry in the Promotion does not constitute entry into any other promotion, competition. By participating in the Promotion, each Entrant (“Entrant” “Participant” “Player” or “You”) unconditionally accepts and agrees to comply with and abide by these official rules and the decisions of the Sponsor, whose decisions shall be final and legally binding in all respects. All entries are subject to verification by the Sponsor. Entries that do not meet the requirements specified below or otherwise do not comply with the Official Rules herein may be disqualified. Any attempted form of entry other than as described herein is void. Sponsor, in accordance with the Promotion rules and regulations, will determine in its sole discretion, what constitutes a valid entry. 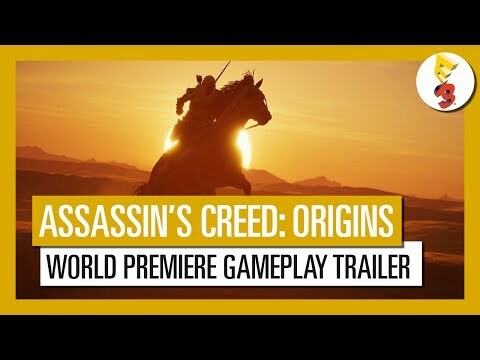 Within five (5) business days after the official release of the Game, Sponsor will randomly draw one (1) winner, among all the customers who preordered the Dawn of the Creed Collector’s Edition of the Game on http://store.ubi.com/uk/assassin-s-creed--origins---dawn-of-the-creed-collector-s-case/59247e5fadc724363e8b4568.html, meeting the Promotion requirements. All taxes on the Prizes are the winner’s sole responsibility. Prize is not transferable or redeemable for cash. Sponsor reserves the right to make equivalent substitutions as necessary, due to circumstances not under its control. Prize includes shipping and handling costs to the Winner’s residence, where applicable. Odds of winning a Prize depend on the total number of eligible entries received. Winner may not transfer Prize to a third party. The Sponsor will not replace any lost or stolen Prize. Prize is provided “as is”. Entrants acknowledge that Promotion Entities have neither made nor are in any manner responsible or liable for any warranty, representation or guarantee, express or implied, in fact or in law, relative to the Prizes. By participating to the Promotion, the Winner acknowledges that Promotion Entities have not and will not obtain or provide insurance of any kind relating to the Prize and that the winner will be responsible for obtaining and paying for any life, travel, car, accident, property or other form of insurance relating to the Prizes. WINNER NOTIFICATION: Winner will be notified by e-mail, sent to the e-mail address associated to its Ubisoft account used to preorder the Game, within ten (10) business days from the Prize drawing. Sponsor shall have no liability for any potential Prize winner notification that is lost, intercepted or not received by any potential Prize winner for any reason. In the event of a dispute regarding who submitted an entry, the entry will be deemed submitted by the authorized account holder of the e-mail account specified in the entry or. "Authorized account holder" is defined as the natural person who is assigned to an e-mail address by an Internet access provider, online service provider, or other organization (e.g., business, educational institution, etc.) 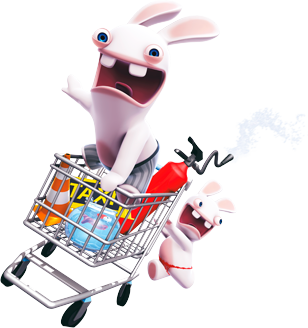 that is responsible for assigning e-mail addresses for the domain associated with the e-mail address associated to the Winner Ubisoft account. Failure to complete and return the documents in the time noted, or if prize notification is undeliverable, will result in disqualification and an alternate potential winner will be selected and notified, time permitting. ENTRANT REPRESENTATIONS, WARRANTIES AND INDEMNIFICATION: Entrant represents and warrants to Sponsor that his/her entry is not in violation of or conflict with the rights, of any kind or nature, of any person or entity. ENTRANT AGREES TO INDEMNIFY, DEFEND, AND HOLD HARMLESS SPONSOR, THE PROMOTION ENTITIES, AND ANY THIRD PARTIES AFFILIATED OR ASSOCIATED WITH THE DEVELOPMENT AND EXECUTION OF THIS PROMOTION, FROM ANY AND ALL CLAIMS, DAMAGES AND LIABILITIES ASSERTED AGAINST THE SPONSOR, THE PROMOTION ENTITIES, AND THE THRD PARTIES BY REASON OF ENTRANT’S PARTICIPATION IN THIS PROMOTION, INCLUDING WITHOUT LIMITATION (A) ANY BREACH OF THE ABOVE REPRESENTATIONS (B) CLAIMS FOR INJURY, LOSS OR DAMAGE OF ANY KIND RESULTING FROM PARTICIPATION IN THIS PROMOTION OR ACCEPTANCE, USE OR LOSS OF ANY PRIZE AND (C) CLAIMS BASED ON RIGHTS OF PRIVACY, RIGHTS OF PUBLICITY, FALSE LIGHT, DEFAMATION, COPYRIGHT AND/OR TRADEMARK INFRINGEMENT RELATING TO THE SUBMISSION OR EXPLOITATION OF THE ENTRANT’S CONCEPT. LIMITATION OF LIABILITY: Sponsor, the Promotion Entities and any third parties associated or affiliated with the development and execution of this Promotion are not responsible for problems downloading or uploading of any Promotion-related information to or from the web site or for any other technical malfunctions of electronic equipment, computer on-line systems, servers, or providers, computer hardware or software failures, phone lines, failure of any electronic mail entry to be received by Sponsor on account of technical problems, traffic, congestion on the internet or the web site, or any other technical problems related to web site entries including telecommunication miscommunication or failure, and failed, lost, delayed, incomplete, garbled or misdirected communications which may limit an entrant’s ability to participate in this Promotion. ENTRANT HEREBY RELEASES SPONSOR, THE PROMOTION ENTITIES AND ANY OTHER THIRD PARTIES AFFILIATED OR ASSOCIATED WITH THE DEVELOPMENT AND EXECUTION OF THIS PROMOTION FROM ANY AND ALL CLAIMS DAMAGES, LIABILITIES AND ACTIONS (“CLAIMS”) WHICH MAY BE CAUSED, DIRECTLY OR INDIRECTLY, IN WHOLE OR IN PART, FROM ENTRANT'S PARTICIPATION IN THE PROMOTION, INCLUDING WITHOUT LIMITATION CLAIMS ARISING FROM: (I) TECHNICAL FAILURES OF ANY KIND, INCLUDING BUT NOT LIMITED TO THE MALFUNCTIONING OF ANY COMPUTER, CABLE, NETWORK, HARDWARE OR SOFTWARE; (II) THE UNAVAILABILITY OR INACCESSIBILITY OF ANY TRANSMISSIONS OR TELEPHONE OR INTERNET SERVICE; (III) UNAUTHORIZED HUMAN INTERVENTION IN ANY PART OF THE ENTRY PROCESS OR THE PROMOTION; (IV) ELECTRONIC OR HUMAN ERROR WHICH MAY OCCUR IN THE ADMINISTRATION OF THE PROMOTION OR THE PROCESSING OF ENTRIES; (V) ANY INJURY OR DAMAGE TO PERSONS OR PROPERTY, INCLUDING BUT NOT LIMITED TO ENTRANT'S COMPUTER, HARDWARE OR SOFTWARE; (VI) RIGHTS OF PRIVACY, RIGHTS OF PUBLICITY, FALSE LIGHT, DEFAMATION, COPYRIGHT AND/OR TRADEMARK INFRINGEMENT RELATED TO ENTRANT’S SUBMISSION; AND (VII) ENTRANT’S ACCEPTANCE, USE OR LOSS OF ANY PRIZE. SOME JURISDICTIONS DO NOT ALLOW THE LIMITATION OR EXCLUSION OF LIABILITY FOR INCIDENTAL OR CONSEQUENTIAL DAMAGES; THEREFORE THE ABOVE LIMITATIONS OR EXCLUSIONS MAY NOT APPLY TO ENTRANT IN WHOLE OR IN PART. ENTRANT'S PERSONAL INFORMATION: Participation in the Promotion implies acknowledgment of the storage of personal data for purposes of administration of the Promotion. The recipient of your personal data is Sponsor and Sponsor’s mother and affiliated companies. Entrants have the right to access, withdraw, and correct their personal data. Entrants may request such action by sending a message with the request, subject line “Win an Assassin’s Creed Origins ‘Dawn of the Creed Legendary Edition’” to support@ubisoft.com. Sponsor reserves the right in its sole discretion to disqualify any individual who is found to be tampering with the entry process or the operation of the Promotion, to be acting in violation of these Official Rules, or to be acting in an unsportsman-like or disruptive manner, or with the intent to disrupt or undermine the legitimate operation of the Promotion, or to annoy, abuse, threaten or harass any other person, and Sponsor reserves the right to seek damages and other remedies from any such person to the fullest extent permitted by law. No incomplete, forged, software-generated or other automated multiple entries will be accepted. CANCELLATION: Sponsor reserves the right to cancel or modify the Promotion if fraud or technical failures destroy the integrity of the Promotion as determined by the Sponsor, in its sole discretion, and to award the Prizes based on eligible entries received prior to the cancellation. DISPUTES: Except where prohibited, Entrant agrees that: (1) any and all disputes, claims and causes of action arising out of or connected with this Promotion or any Prize awarded shall be resolved individually, without resort to any form of class action, and that by participating in the Promotion, Entrant agrees that the courts of England and Wales will be the exclusive forum for any formal dispute resolution; (2) any and all claims, judgments and awards shall be limited to actual out-of-pocket costs incurred, including costs associated with entering this Promotion, but in no event attorneys' fees; and (3) unless otherwise prohibited, under no circumstances will Entrant be permitted to obtain awards for, and Entrant hereby waives all rights to claim, indirect, punitive, incidental and consequential damages and any other damages, other than for actual out-of-pocket expenses, and any and all rights to have damages multiplied or otherwise increased. All issues and questions concerning the construction, validity, interpretation and enforceability of these Official Rules, or the rights and obligations of the Entrant and Sponsor in connection with the Promotion shall be governed by, and construed in accordance with, the laws of England and Wales, without giving effect to any choice of law or conflict of law rules, which would cause the application of the laws of any jurisdiction other than England and Wales. 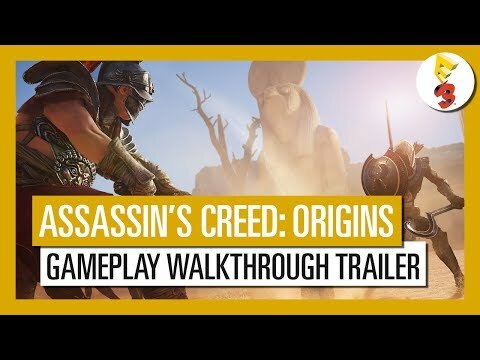 OFFICIAL RULES, WINNERS LIST: A copy of the Official Rules may be downloaded from http://store.ubi.com/uk/assassin-s-creed--origins---dawn-of-the-creed-collector-s-case/59247e5fadc724363e8b4568.html for the duration of the Promotion. 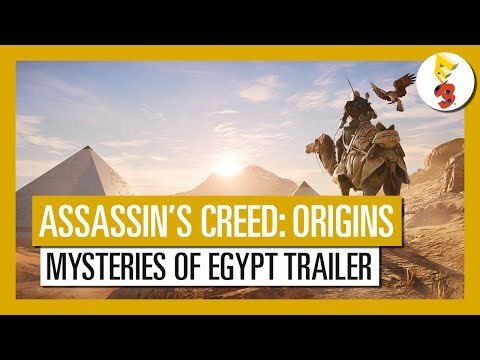 The name of the Winner will be posted on the Assassin's Creed UK official Facebook (https://www.facebook.com/assassinscreed.uk/) and Twitter (https://twitter.com/Assassins_UK) pages. In addition, the Official Rules are also available by sending a stamped, self-addressed envelope marked “Win an Assassin’s Creed Origins ‘Dawn of the Creed Legendary Edition’” to Ubisoft Ltd., 3rd Floor - Ranger House - Walnut Tree Close - Guildord - Surrey GU1 4UL, United Kingdom. © 2017 Ubisoft Entertainment. All Rights Reserved. Assassin’s Creed, Ubisoft and the Ubisoft logo are trademarks of Ubisoft Entertainment in the U.S. and/or other countries. The use of any Prize manufacturer or venue, name or trademark in connection with any of the Prizes is solely for the purpose of describing such Prize, and is not intended to suggest any affiliation or sponsorship. Nothing in these Official Rules shall be deemed to exclude or restrict any of the winner's or the entrant's statutory rights as a consumer. Entrants have the right to access, withdraw, and correct their personal data. 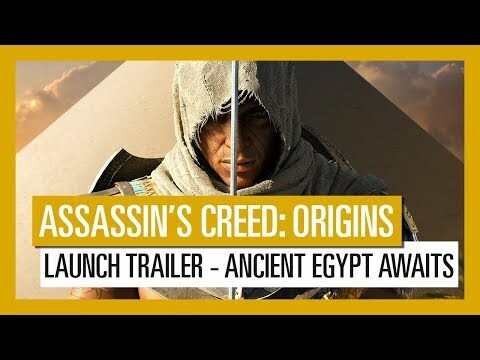 Entrants may request such action by sending a message to “Win an Assassin’s Creed Origins ‘Dawn of the Creed Legendary Edition’” Ubisoft Ltd., 3rd Floor - Ranger House - Walnut Tree Close - Guildford - Surrey GU1 4UL, United Kingdom.